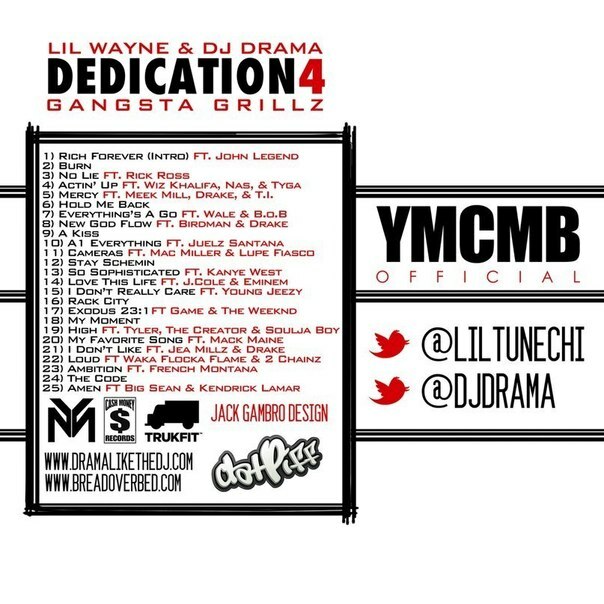 Lil Wayne : Dedication 4 album download | Has it Leaked? Lil Wayne took to Twitter this afternoon to announce that his Dedication 4 mixtape is coming next month. 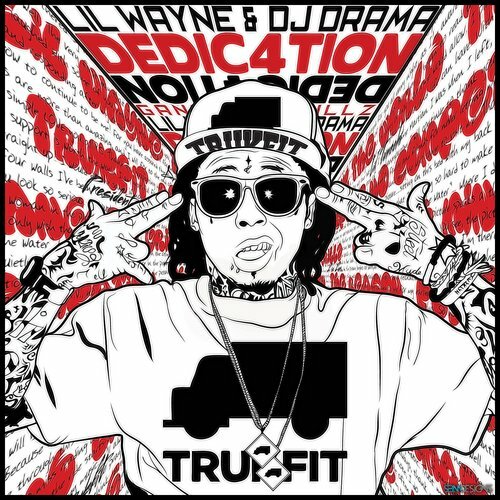 No word on an actual date for when it will be dropping, but this exciting news for Weezy fans, especially since the first three mixtapes in the Dedication series with DJ Drama and Gangsta Grillz are held in such high regard. It is fake. Wayne’s mixtape tracklist’s hardly ever leak before they come out. Delayed for a couple more hours. Smh. Nevermind its scheduled to be dropped September 3rd. where did you hear that is coming out sep. 3rd?